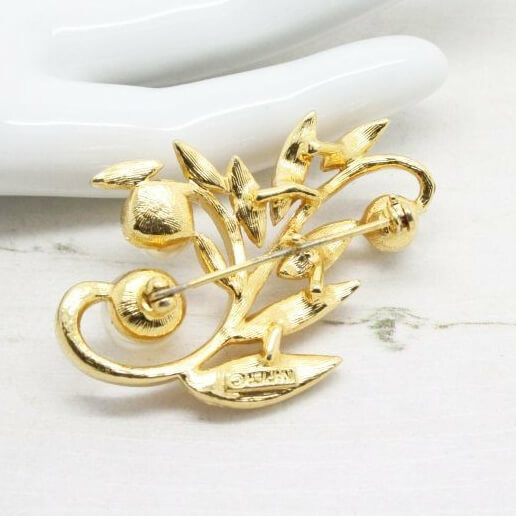 Description: Delightful floral style brooch from Napier, featuring 3 brilliant round faux pearls in a textured and smooth gold plated setting. 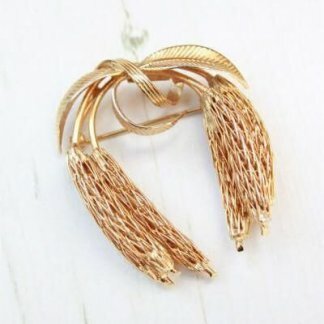 This is timeless Napier; Simple and sleek with inspiration from nature very clear in it‘s design. Measuring 4.5cm at widest point, fully signed to the back and complete with a working roll lock clasp pin. 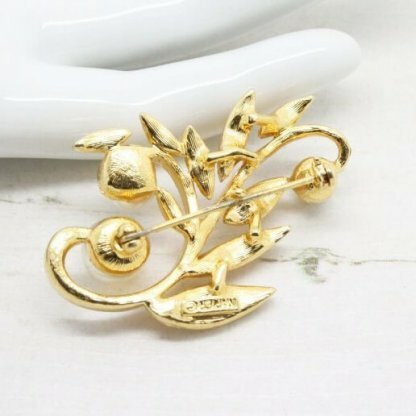 This brooch is in good condition showing slight wear. 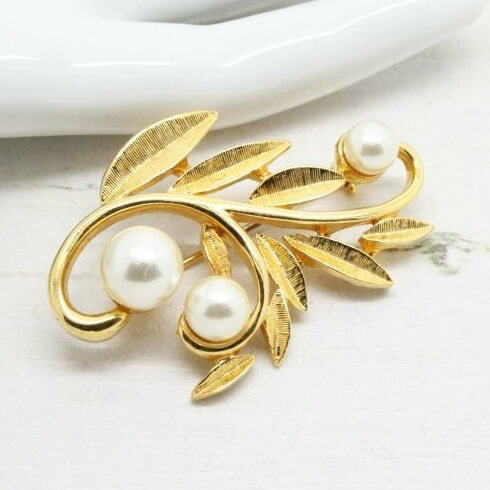 Gold plating perfect – Pearls show slight marks when looking closely at the piece – Can be seen in photo on the largest pearl, shows faint hair-line mark. 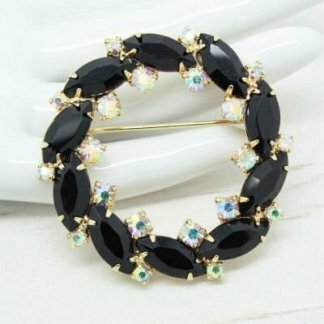 This brooch would look lovely attached to the lapel of any jacket and add the finishing touches to your outfit.